Learn Node.js The Troll Way | I care, I share, I'm Nathan LeClaire. Naturally, in order to do this, I needed to gather the Skyrim intel (quotes) first. Originally I set out to write the crawler in Python as I have some experience with the venerable BeautifulSoup Module. But I was already using Node a bit as a result of Twitter’s Bootstrap framework, and I was curious to challenge myself to actually build something with it for fun and comprehensive learning. So, I decided to investigate. Turns out there are a few modules that come in handy for a task like this in Node. This is the idiomatic way to import modules in Node. The jsdom module for Node enables us to simulate a DOM environment which many of us familiar with (working with client side code) for use in our Node script. And naturally, it’s as easy as one, two, callback! Since I am familiar with using jQuery to parse the DOM, I opted to use it to extract the quotes from this website, where they are contained within table cells ripe for the picking. To do this with the jsdom module, you call the jsdom.env method. As arguments we pass in the address of the HTML we wish to parse. There’s a lot going on here that merits explanation, so I will take a second to break down in more detail what is going on in this chunk of code. We have an instance of the jsdom object so we can call the env method to bootstrap up a DOM to parse. The first argument to this method ('http://www.uesp.net/wiki/Skyrim:Guard') is the URL to query for the HTML to instantiate this DOM with. You can also just pass in plain old HTML as a string if you happen to have some of that laying around in dire need of parsing. The second argument to the env method is a list of scripts to be included in the virtual window (DOM). In this instance and many of the examples given on the jsdom Github page, we include the jQuery library. If one wanted to use Mootools or Underscore.js, I imagine that is also totally doable, although I have no anecdotal evidence to support this hypothesis. For my purposes, jQuery was a comfortable and effective fit. The third argument to the jsdom.env method, and arguably the most critical, is a callback function to be executed once the response has been received from the server (or immediately, in the case of passing in your own HTML). It takes two arguments: The first is called errors and is an list of errors which you can inspect if something in the env method goes wonky (in the code I’ve presented here errors is ignored, although you still need to have it in the definition of your callback function). The second is called window and it is the coup de grâce of what we are seeking: a bootstrapped, “invisible” DOM that our script can parse. But onward to the trolling we must progress! The very first thing I do in this brave new callback where we will be doing our DOM parsing is define a few variables. jsdom allows access to the jQuery object through the window object, and as I would be accessing it often enough to justify a shorthand method of access, that is what var $ = window.$; is all about. So what’s with that stripTags call? Well, the values that I was after were plain text without any HTML inside, as said HTML in a Reddit comment might shatter the illusion that it could be a person typing said Skyrim quotes instead of a robot. So, for example, some of the entries in the table cells have words in italics and I needed to get rid of these tags. Ergo, my stripTags function. 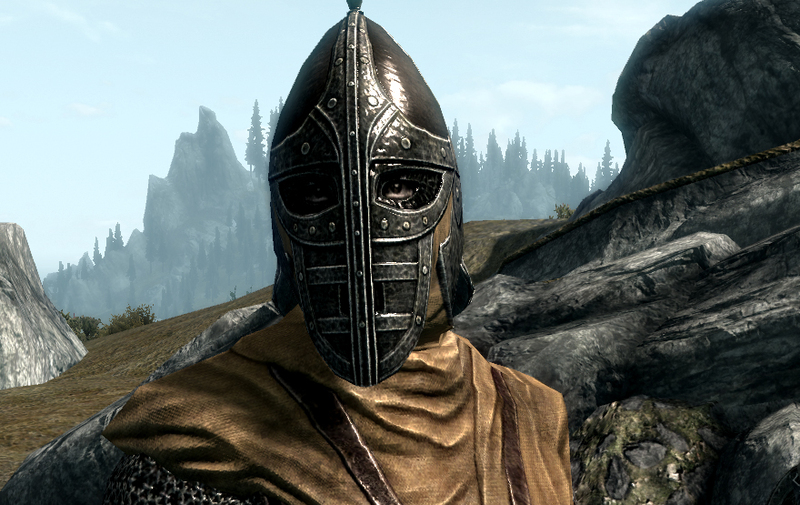 "You here to see the <a href="../../../../../wiki/Skyrim:Igmund" title="Skyrim:Igmund">Jarl</a>? No sudden moves, understand?" "You here to see the Jarl? No sudden moves, understand?" Thanks to that $('tr td a').contents().unwrap(); statement. It’s a little bit of extra work, but trolling is serious business, and well worth the investment. And as I said before, applying these operations globally to the DOM on a large-scale project would be overkill, but for my purposes here it was grand. The next step was the find the quotes themselves. A simple little $('tr td') yielded very good results, mostly what I was looking for, but there happened to be a bit of extra flotsam and jetsam table cells which contained content I was not after at all. So I needed some way to differentiate the Skyrim quotes from anything else that happened to be in a table cell which was not relevant to the task at hand. Hm, surely I can come up with a regular expression to help with that? Here we have the lovely jQuery method filter being used to apply the simple regexp pattern /^". *"$/ to our selection and returning only the elements that match. This knocks out everything which does not adhere strictly to the “quote” pattern (string’s first and last character are a double quote - "). Almost there now- still I needed to strip some HTML special characters such as &lt; and &gt; to get them especially clean. And, of course, to strip the double quotes for aesthetic purposes. I decided to bring a gun to a knife fight and add methods to String’s prototype. Stay tuned for the followup where I create the actual robot to talk to my brother, and if you’re keen feel free to check out the source on Github.